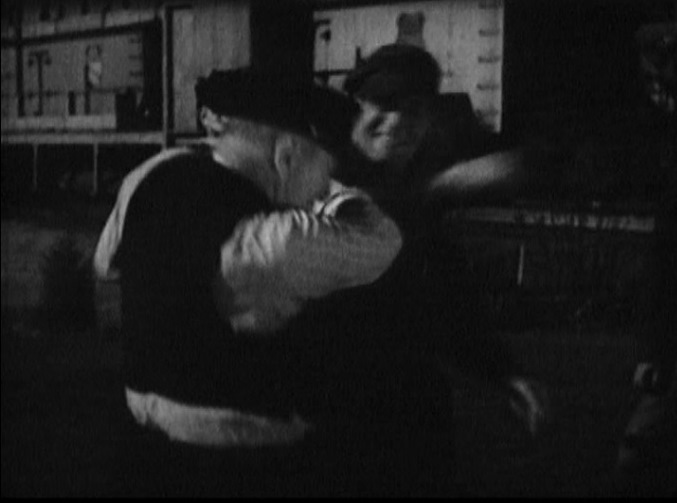 This picture begins with Engineer Casey Jones taking a shine to a local schoolboy who is crazy about trains. 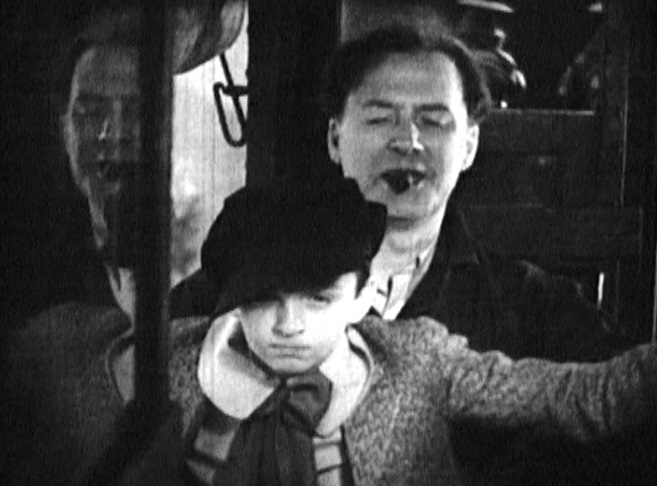 He brings the lad up in the cab of his steam locomotive and lets him “run” it. 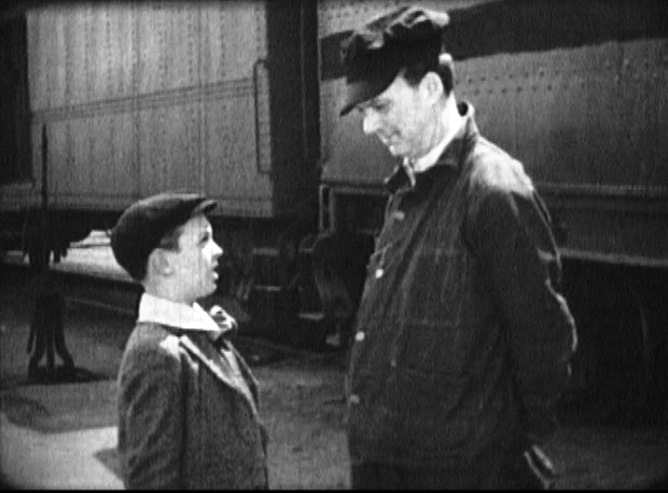 Casey becomes little Jimmy Martin’s idol (played by Jackie Searl) and all Jimmy wants to do henceforth is become a hogger like Casey. 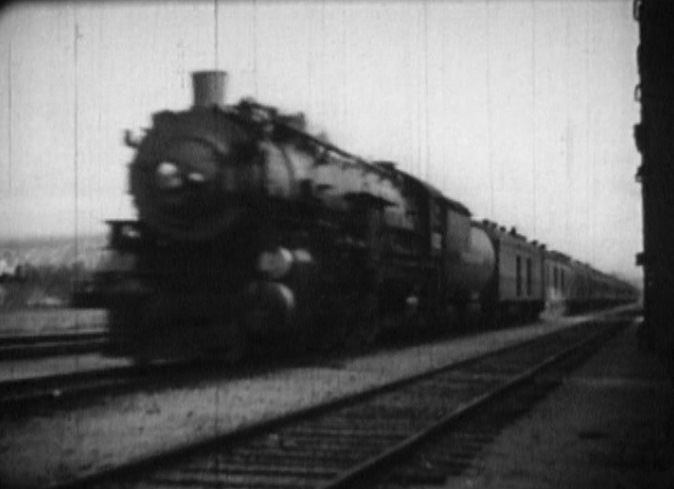 SP 2419, a 4-6-2 Pacific P-4 class locomotive of the Southern Pacific Railroad was the main engine used for filming with Jim Martin (Charles Starrett) as an adult. 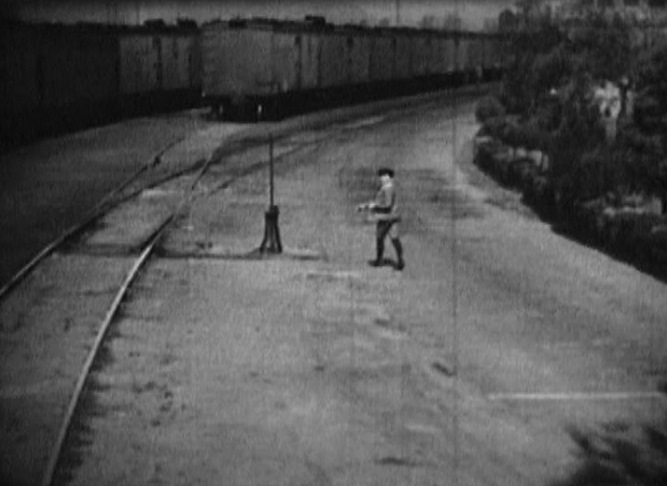 Casey Jones (Robert Elliott) is rolling his locomotive #212 down the tracks when he spots little Jimmy Martin skipping class to watch him go by. 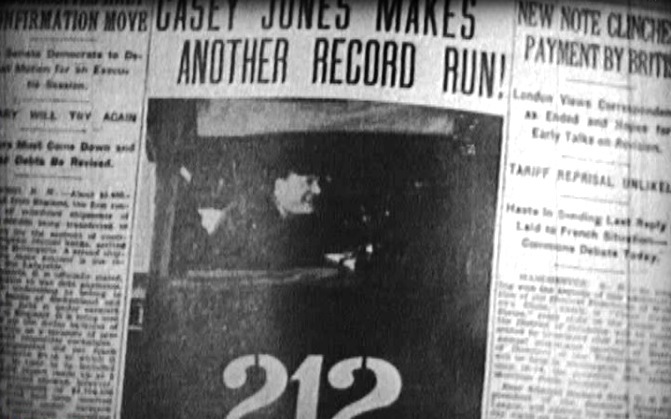 Casey tells Jimmy not to be cutting class (or running across the tracks in front of his train); With furrowed brow, Jimmy runs engine #212 under Casey’s watchful tutelage. 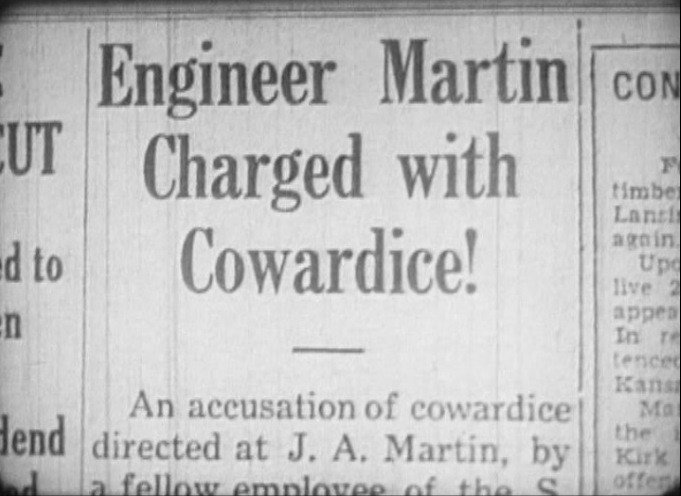 The local Wickabee Star newspaper brings both good and bad news to future engineer Jimmy. Jimmy is devastated, but time marches on. Literally. 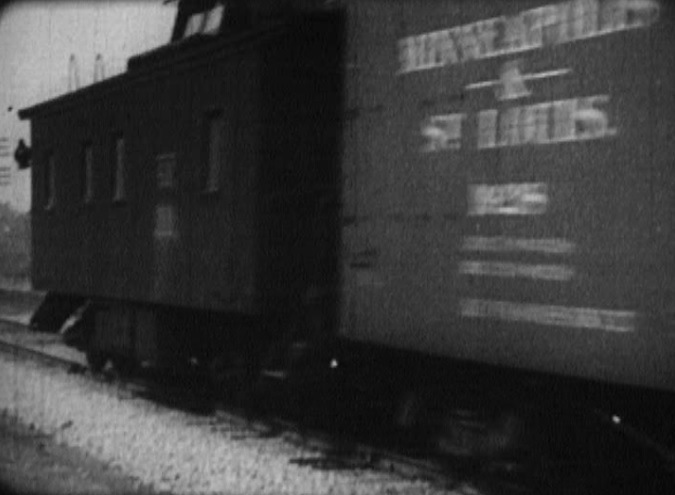 (We see “1900”, “1905”, “1910”, “1915” and finally “1917” flash across the screen). 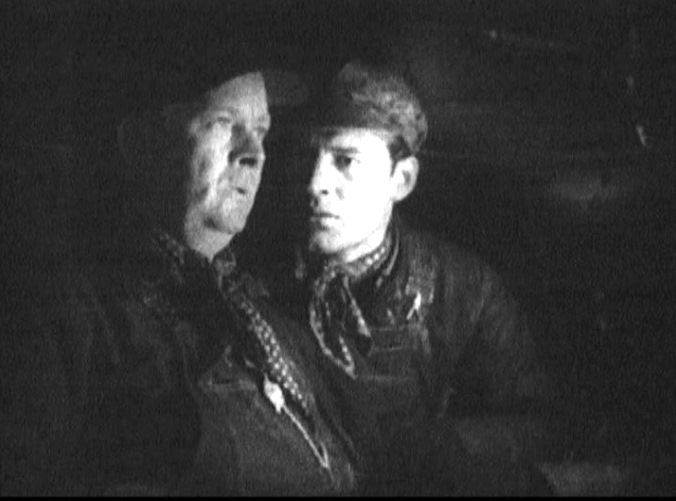 Now, adult Jim (Charles Starrett) is living his dream running SP 2419 back to Wickabee Junction to attend a shin-ding with his main squeeze, Nona (Ruth Hall). It’s War! However Jim’s poor old mother has a weak heart and the shock of him joining up to fight the Hun would surely do her in! 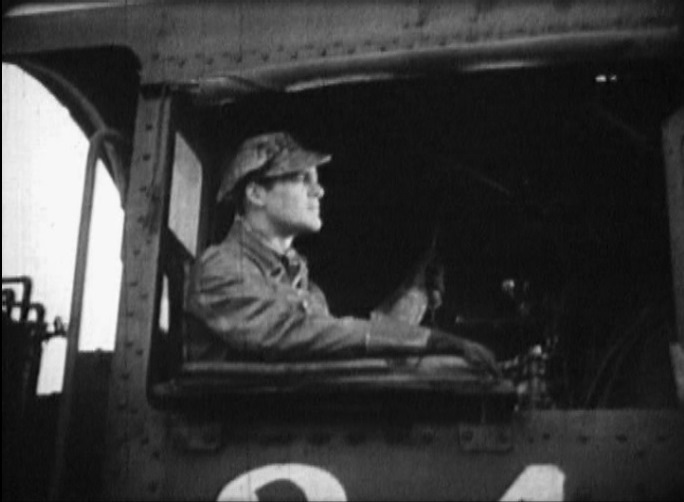 Jim stays behind and continues as engineer. 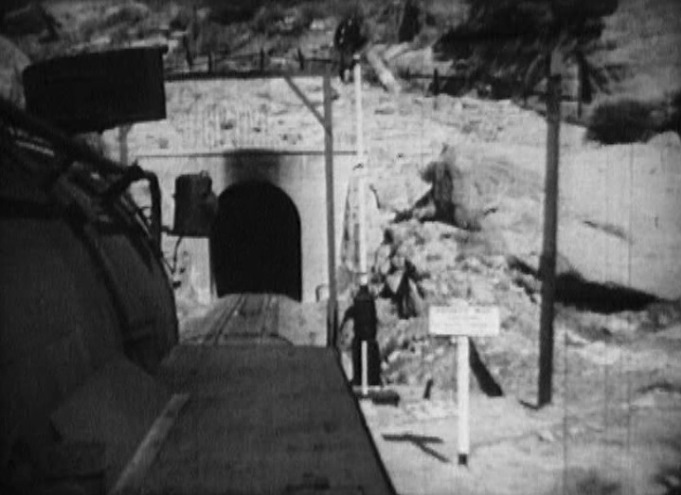 Coming up on a tunnel – note the telltale and lower quadrant semaphore; The train flashes past with a standard SP caboose and M&St.L boxcar. 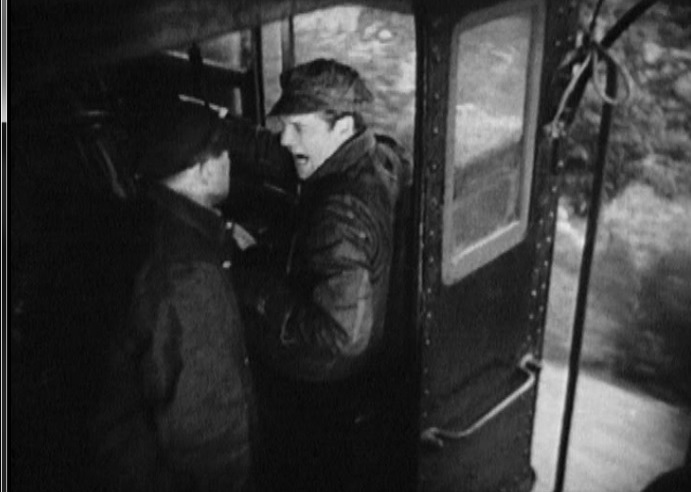 Jim barks at his fireman to go out and fix the defective pump which causes the 2419 to lose its air. 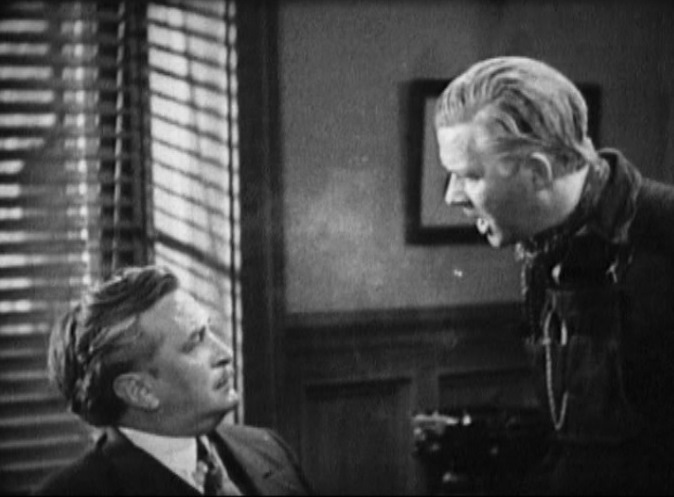 Instead, the cowardly fireman jumps off the train to save his own skin. 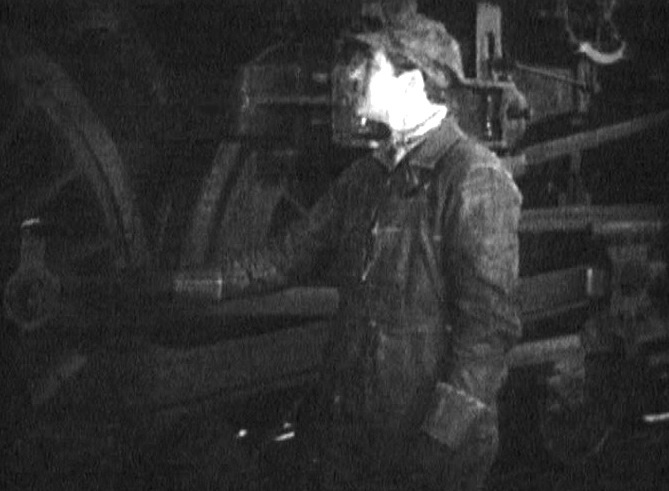 Jim climbs out himself to try and fix the pump, but slips off the engine. The train is running wild! 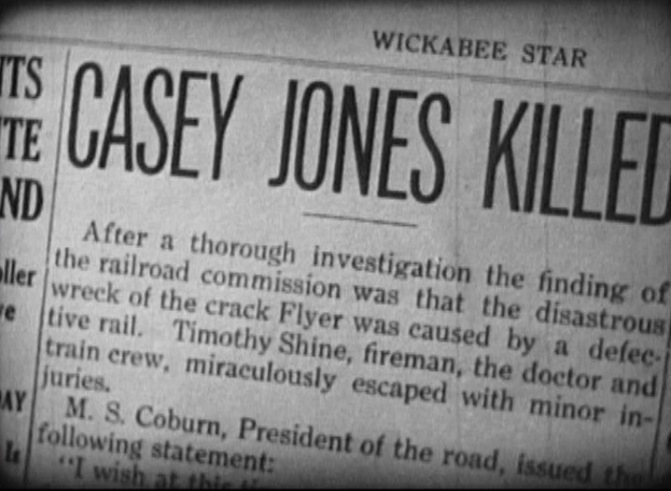 A costly wreck with Jim getting the blame. 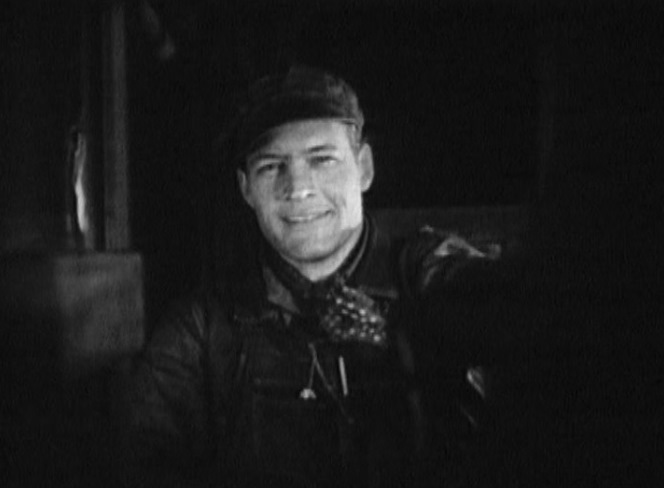 His old friend Timothy (Gabby Hayes) won’t stand for these false charges and tells the Superintendent so! 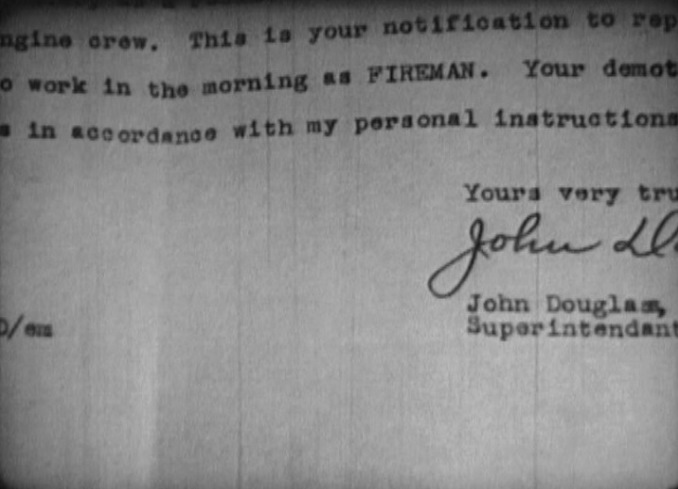 ; The best the Super can do, though, is reinstate Jim as a fireman. 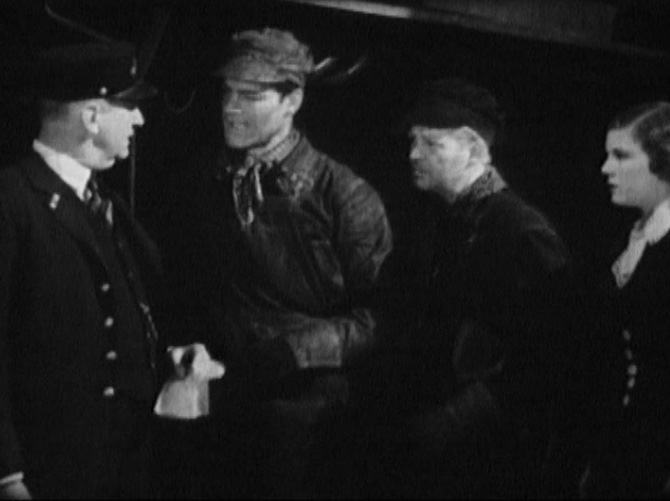 Jim is firing for his old friend Timothy…who suffers a stroke at the throttle! That air brake pump has crapped out again. 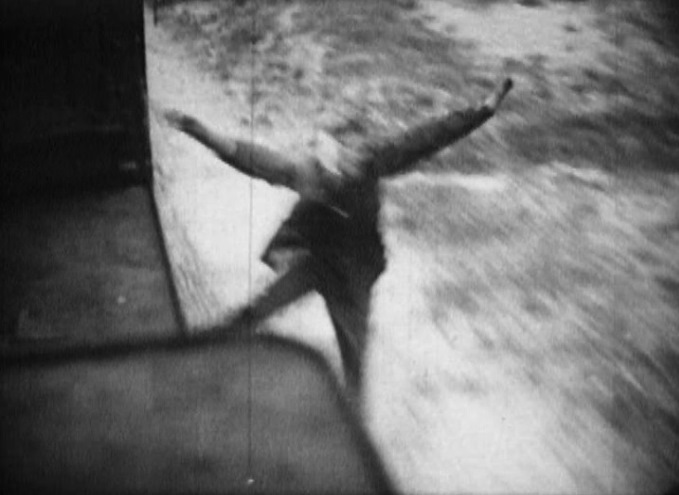 This time Jim climbs out on the running board and kicks it loose WITHOUT falling off. Jim has saved the day! 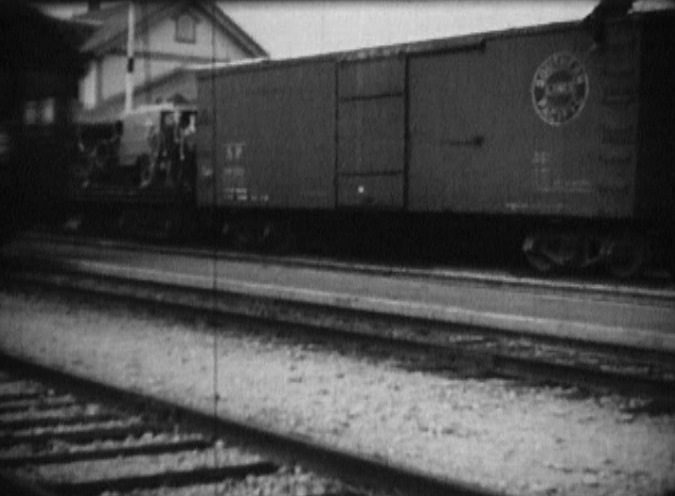 SP passenger train rolls by; nice view of an SP reefer as the express train passes. 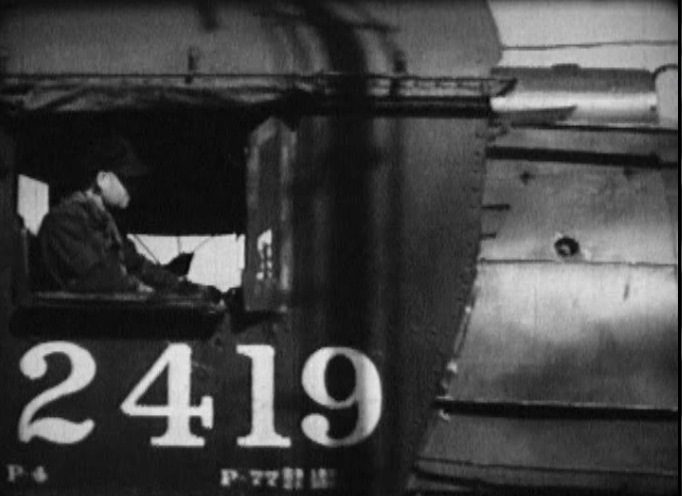 Once more in the finale, Jim is looking after his two favorite girls: oiling around the 2419 and spooning with Nona (I love a happy ending)! 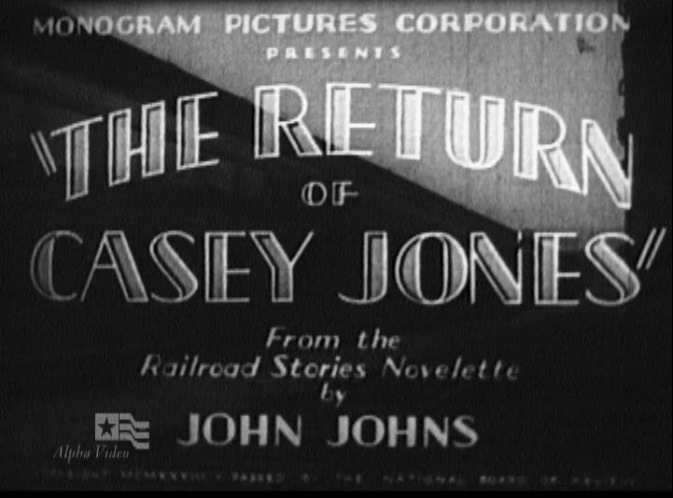 This entry was posted in Uncategorized and tagged Casey Jones, Charles Starrett, Illinois Central Railroad, John Luther Jones, Monogram Pictures, Southern Pacific Railroad, Steam Locomotive, The Return of Casey Jones. Bookmark the permalink. Action-packed for sure! 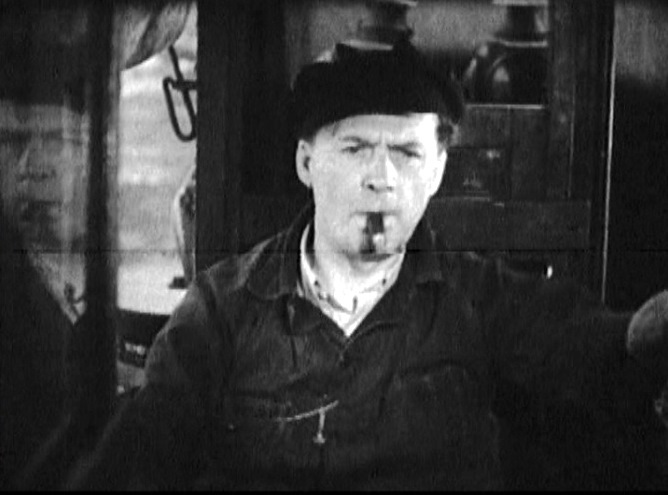 It is fortunate for our hero that air pumps apparently can easily be fixed while the train is in motion and without specialized tools. Very handy! AND the air pump failed twice on the same engine #2419. 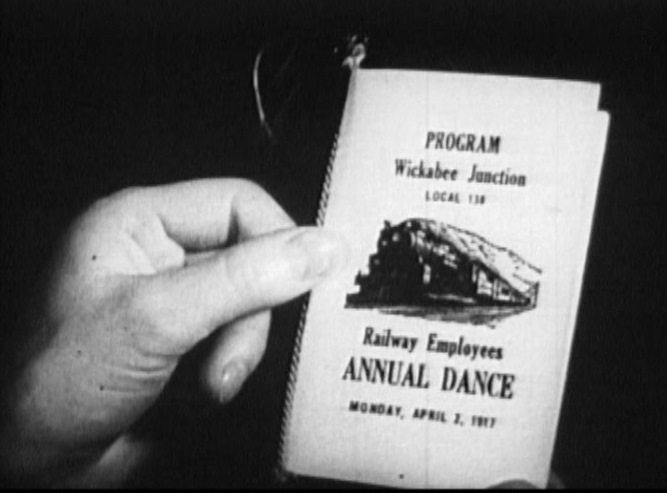 Maybe now the railroad will spend the bucks to replace it. 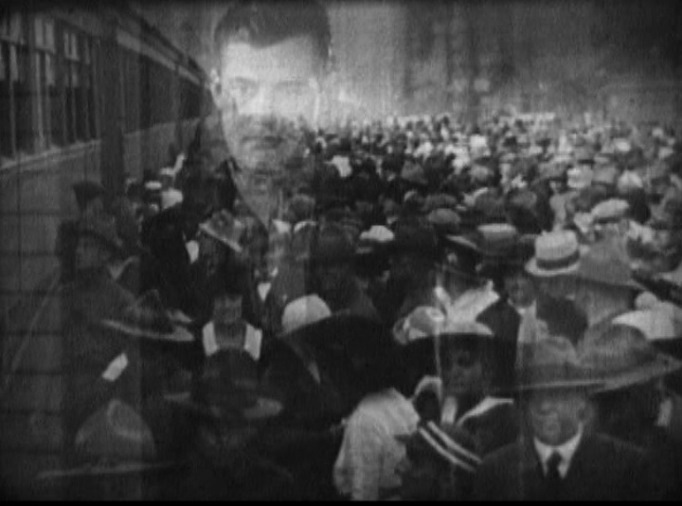 I realize the Great Depression is raging, but really…..